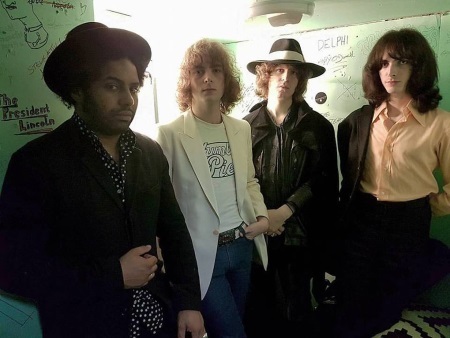 London rock 'n'roll quartet Flare Voyant keep the retro-rock flame burning with their second EP Seeds of the Flamboyant. They can get loud, even when they stick to mostly acoustic instruments during Light And Shade and find a middle ground between Led Zeppelin end the Small Faces in the psych blues of Daydream. For these guys the Seventies never ended and their music is a portal to the originals. They want to be bigger than life and they got the swagger and the songs to make their dream come true. Dance the night away with the rowdy Midnight Lady and relive bittersweet memories with I Lost My Poetry. Flare Voyant can make the drag of everyday hassles go away. There's nothing wrong with escapism through music, right? Seeds of the Flamboyant is a self-released EP. Available on various digital platforms. HCTF review of Flare Voyant.